Pippa Middleton and husband James Matthews attending a friend’s wedding in Stockholm, Sweden. Fresh from her honeymoon, Pippa Middleton had her fashion fans swooning all over again with her choice of floral maxi dress for a friend’s wedding in Stockholm, Sweden earlier this week. The maxi’s high neck and long, cuffed sleeves keep the look elegant, and make it perfect for the cooler southern hemisphere weather. The pretty floral print, which is great for an event like a wedding, is also versatile: paired with different accessories – ankle boots or sneakers instead of heels – it could work as a casual, laidback look too. 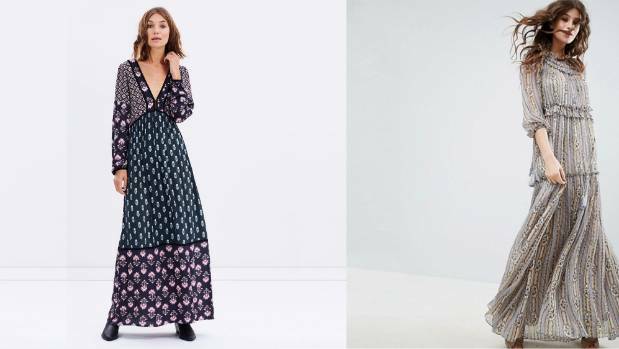 To get the exact dress from British designer Erdem you’d need to have a spare $3400 (it’s currently reduced from $4700 though!). But there are alternatives that still tick the boxes, without the hefty price tag. Pippa paired hers with classic black accessories – pumps and a clutch – which allowed the dress to take centre stage, but accessories in any hue from within the print would work equally well. If florals aren’t your thing, Witchery’s Madison dress, $280, is a chic all-black take. Dark Pink maxi dress, AU$112 on sale, at The Iconic. Tigerlily’s Tundra dress, AUD$270, offers a V-neck option. 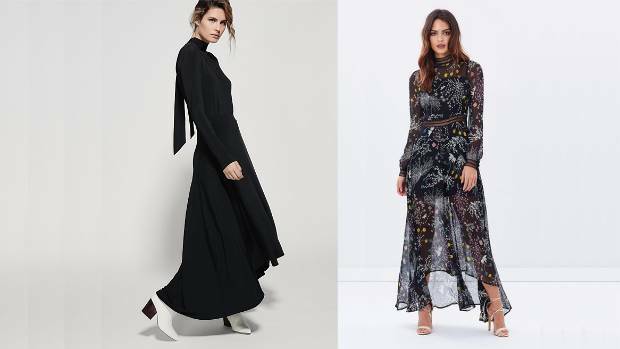 Needle & Thread Lace maxi dress, $540, at ASOS. 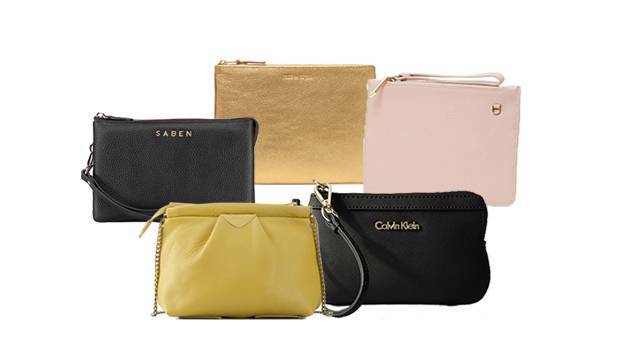 Clockwise from top: Comme des Garcons gold pouch, $220, Karen Walker zip pouch, on sale $146, Calvin Klein Saffiano wristlet clutch, $100, at Farmers, Deadly Ponies Mr Mini Tuck clutch, $455 and Saben Tilly clutch, $250. This entry was posted in News on June 21, 2017 by cws-admin.